Economics and Sociology (ISSN 2306-3459 Online, ISSN 2071-789X Print) is a quarterly international academic open access journal published by Centre of Sociological Research in co-operation with University of Szczecin (Poland), Mykolas Romeris University (Lithuania), Dubcek University of Trencín, Faculty of Social and Economic Relations, (Slovak Republic) and University of Entrepreneurship and Law, (Czech Republic). The general topical framework of our publication include (but is not limited to): advancing socio-economic analysis of societies and economies, institutions and organizations, social groups, networks and relationships. Looking back on 2014 we see the growing of interest in E&S. 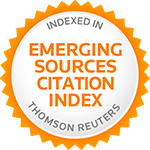 Taking this possibility, we would like to say thank you to all our contributors, researchers and readers. At the present moment, we see the necessity to update our strategies and mission for forthcoming years in order to comply with your needs and expectations. First of all, we became the part of open access process and all materials are available online. Secondly, from 2014, E&S became a quarterly publication. The social economy is an entrepreneurial, not-for-profit sector that seeks to enhance the social, economic and environmental conditions of communities. We come to understanding that enterprises are a component of the social economy that are run like businesses, producing goods and services for the market economy, but they are being managed in pursuit of social and environmental goals through their operations. Increasing economic interaction, allied to the social and political changes evident in many parts of the world, especially in the enlarging European Union and associated countries, has created a need for more sophisticated perception of the social, political and cultural environments, which govern our societies. 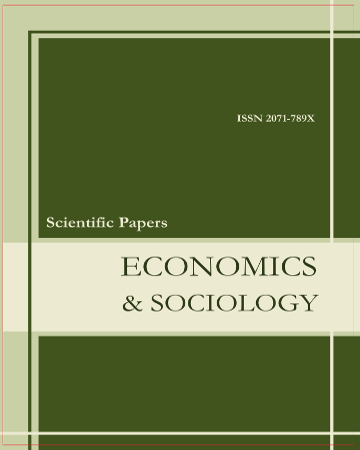 The Journal, combined with interdisciplinary contributions on international developments in social economics, makes a genuinely valuable input into current comprehension of the subject and the growth of new ideas. Recent Issues in Sociological Research. Recent Issues in Economic Development. Interdisciplinary Approach to Economics and Sociology. The journal serves as a forum for the exchange of information and views between academics and practitioners, NGOs and the community, data producers and users.